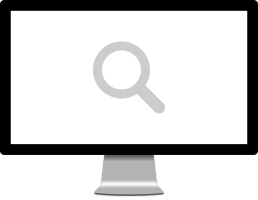 Create word lists from our massive Chinese dictionary featuring example sentences and audio recordings for simplified or traditional Chinese. Master the vocab with our unique interactive flash cards. Keep words fresh in your memory with educational games and quizzes. Do it all online or with apps for iOS, Android and your desktop PC or Mac! Create flash card lists using words and phrases from our online and in-app dictionary. You can also copy ready-made lists from a selection of more than 1,000 vocab lists covering hundreds of topics of interest, levels of difficulty and more, prepared both by our professional staff and other trainchinese users. Train your chosen vocabulary online or in our mobile or desktop apps. Words are trained in each of four "training modes" focused on learning to read, write, recognize spoken words and translate words into your native language. Unique to trainchinese, the system presents flash cards differently for each mode. In one mode you may be shown Chinese and asked for its translation, and in another you may only hear a word and be asked to identify it. We count the number of times you "know" and "don't know" your flash cards to intelligently remove them from your training cycle. trainchinese uses a tried-and-tested technique called 'spaced repetition'. That means that each time a vocabulary word is 'passed' it disappears from training for a longer period of time (though it remains in your vocab list), returning later to be trained again. After several such repetitions you will have memorized it! The flash card system is not the only way you can learn Chinese with trainchinese. With our family of mobile apps for iOS and Android you'll boost your knowledge of Pinyin, Chinese Numbers, listening skills and even writing! The educational game Chinese Writer is already used by students around the world who enjoy its fast-paced and educational gameplay. 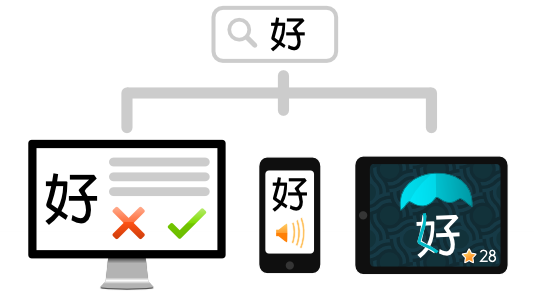 What's more, many of our apps connect to trainchinese.com so you can learn the words from your lists in fun new ways!